Tomorrow night, Rocker Stalker takes over THE BOWERY ELECTRIC! It’s not just any show, though, it’s my belated birthday bash! 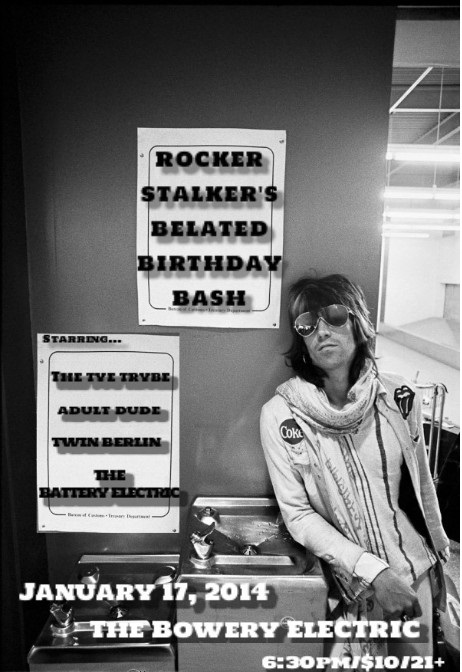 Good times courtesy of some of my favorite bands, The Tye Trybe, Adult Dude, Twin Berlin, and The Battery Electric! I’ll be donating my proceeds to Incubus’ Make Yourself Foundation, so come support local music, AND a good cause! Doors a 6:30pm, $10, 21+. RSVP here and share please!